Compared to last month this photo is not very old at all. 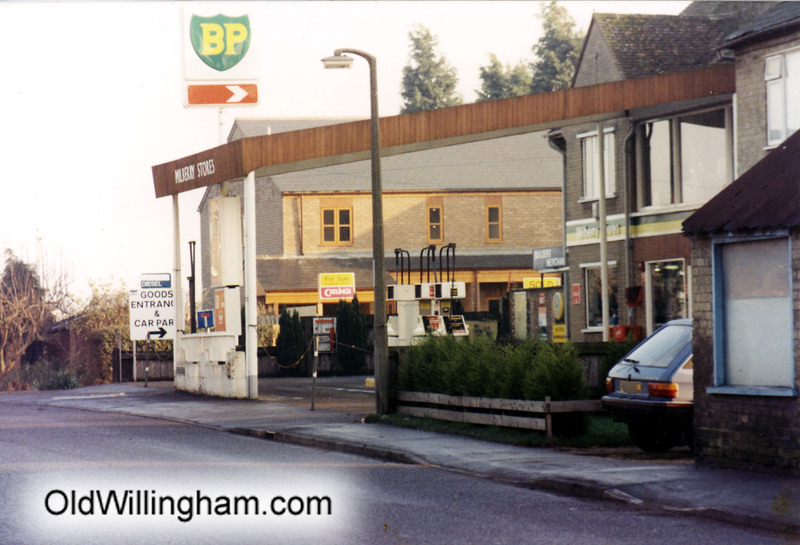 However, if you are new to the village in the last 25 years you might be surprised to see that there was a full size petrol station at Millberry Stores, on the corner of Mill Lane and (you guessed it) Berrycroft. This photo is courtesy of Barry Unwin who loaned over one hundred photos taken in the 1980s and 90s to be added to the collection. What is yesterday for some is history to others!